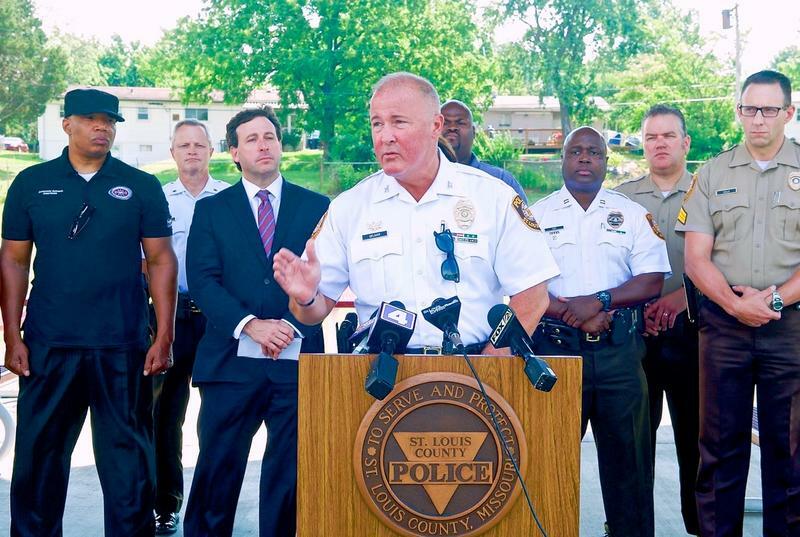 St. Louis County Police Chief Jon Belmar, along with County Executive Steve Stenger, unveil the department's Special Response Unit on Tuesday. The unit will eventually have 24 officers and five supervisors. Though they will be based in north county along with other special teams like SWAT and K-9, officers will respond countywide, whether it’s to help with an emergency like a missing child or to boost manpower in areas dealing with a lot of 911 calls or violent crime. Rice said officers will also know whom to call to help a family that might be struggling with a child who won’t go to school, or a father who has turned to petty crime in an effort to make child support payments. “The regular beat officer doesn’t necessarily have the ability to dedicate the necessary time to do those things, and we will,” Rice said. He added that he’s comfortable with his staff taking on more of a social worker role. 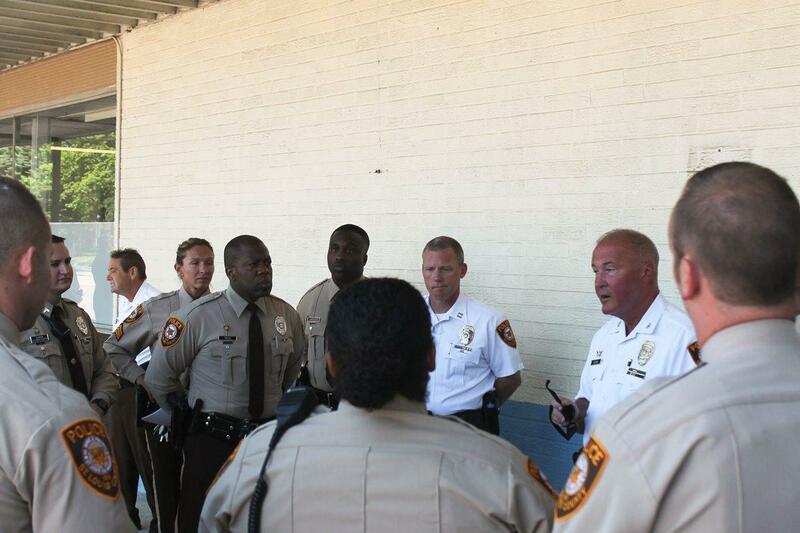 St. Louis County Police Chief Jon Belmar, center right, speaks to Special Response Unit officers on Tuesday. The SRU building is on Lucas and Hunt Road, across the street from the headquarters of the Normandy Schools Collaborative. 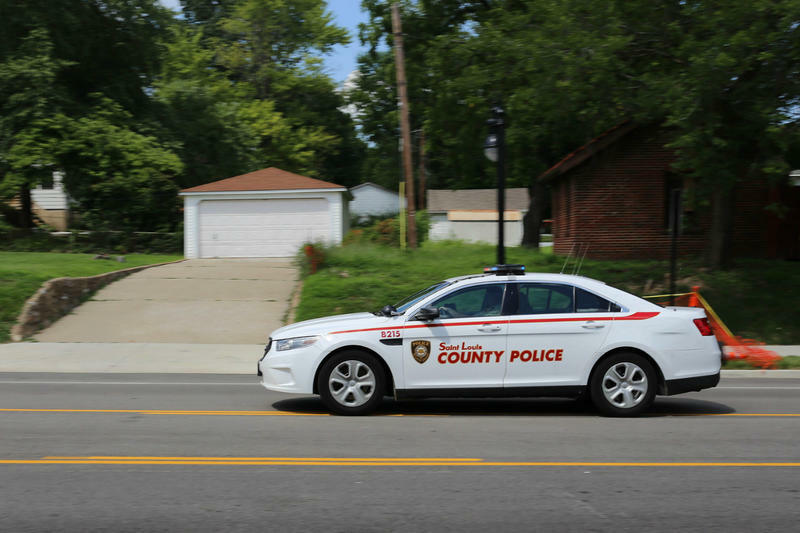 The district covers some of the higher-crime areas of the county, which are also the ones that have the most difficult relationships with police. But disrict Superintendent Charles Pearson said having SRU officers in those areas will be beneficial. “It’s not so much for me about the frequency as much as, if this is an added set of caring, qualified adults to interact with our children and families, that works for me,” he said. 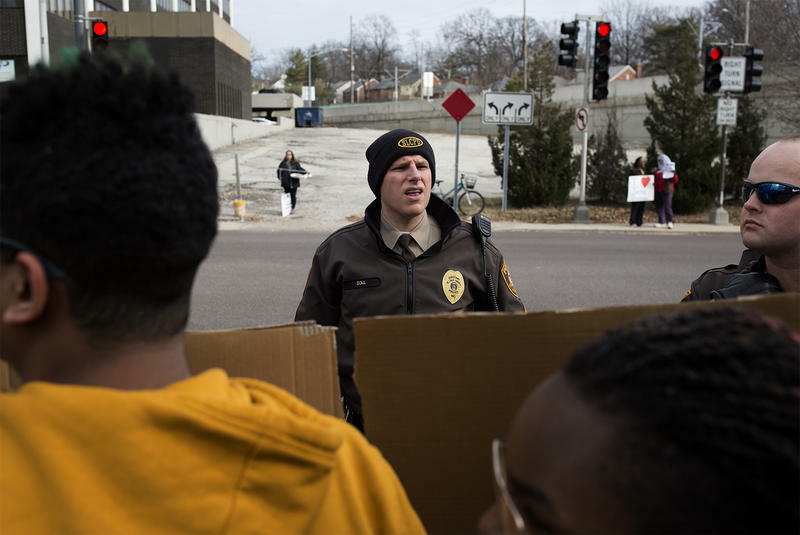 “If you said yes to do this, it means you have a heart for people, theoretically.” He was pleased that all officers on the unit will be trained in de-escalation. “It’s not more policing. 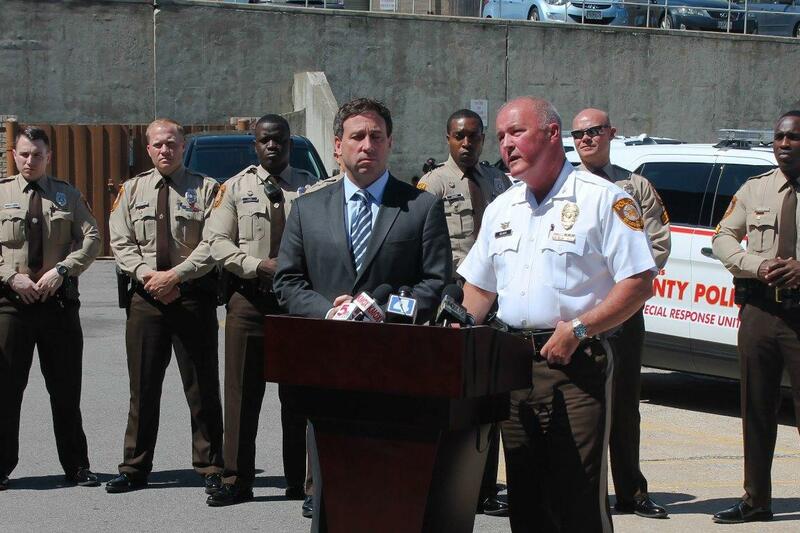 It’s really a different approach to policing,” Stenger said. The SRU is modeled on the Community Action Team, a smaller unit the department operated between 2000 and 2008. Funding for the SRU comes from Proposition P, the sales tax increase voters approved in April 2017. A spokesman for Stenger said rehabbing the leased space to house the SRU and other units will cost about $330,000 and should be complete by the end of July. Abigail Censky contributed to this report.